The phenomenal box-office success of The Hunger Games left us yearning for a repeat viewing of this Japanese classic, a profoundly subversive action movie that feels increasingly relevant with each passing year. 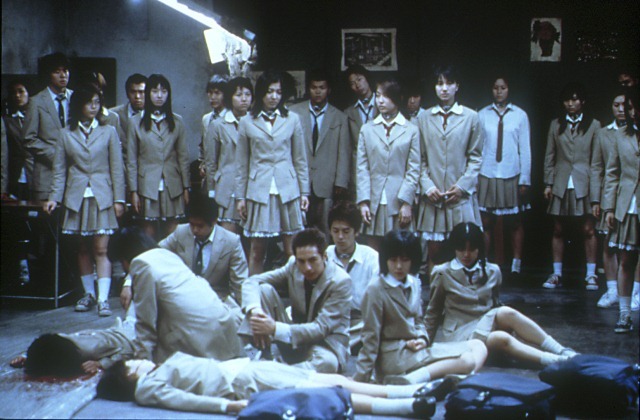 Veteran director Fukasaku’s final feature is a lively adaptation of a controversial novel (and later Manga) positing a dystopian future where the government deposits a problem class of youths on a remote island, forcing them to participate in a deadly game: they must kill each other to survive, with TV audiences tuning in for the results. Sound familiar yet?